This article was originally published on The Hearty Soul. 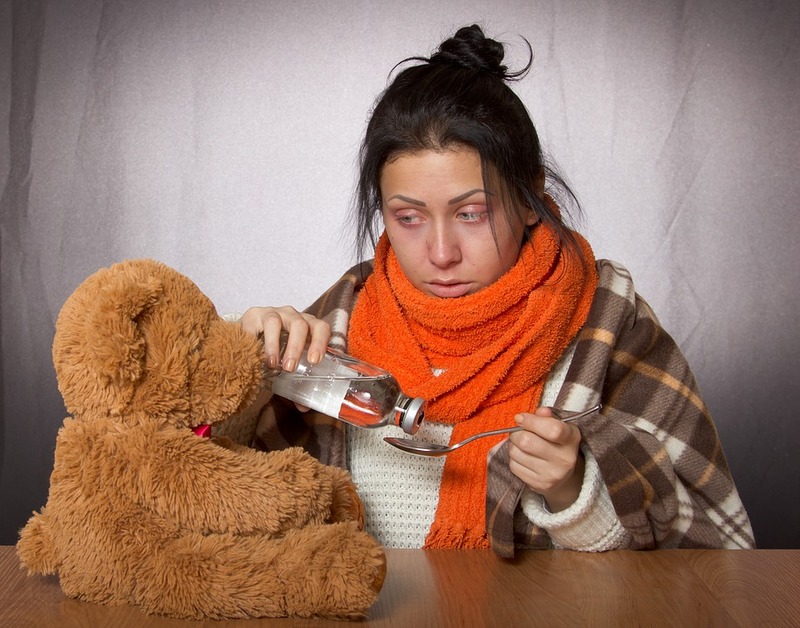 There is no such thing as Flu season. Contrary to popular belief, Influenza viruses do not go on vacation in the summer and check back in with us in the fall. The viruses are opportunistic, which means that they are simply waiting to attack us when our immune systems become weaker. This year, let’s start Immune Booster season, making our immune systems strong year round so that the opportunistic bad bacteria and viruses don’t have as much of a chance to spread. We have all heard of the immune system. This system is the second line of defense that our bodies have to invaders (the first line is our skin and gut lining). If an invader gets through our skin or through our gut lining and into our internal environments, then the immune system is activated to protect us from the effects of these invaders. Our immune system is constantly active, fighting off potential invaders. A well-functioning and BALANCED immune system is very important in our overall health and well-being. If our immune system is weak, invaders such as viruses and bacteria can get in and spread, causing infections. If the immune system is too overworked, it can make mistakes and start attacking our own cells. This is called autoimmune disease, and can include conditions like Hashimoto’s Thyroiditis, Rheumatoid Arthritis, Type 1 Diabetes and Celiac disease. Imagine for a moment that the immune system is the security staff at an important government building. Lazy security personnel that don’t do their job correctly could let invaders enter, which can cause problems for the government – in the same way, a weak immune system cannot stop all the opportunistic viruses and bacteria from potentially causing infections in our sinuses, lungs, blood vessels etc. If the security staff are too overwhelmed and not well trained, they may start to incorrectly attack internal problems in the government building. This would cause chaos inside the government building leading to many issues internally. In the same way, autoimmune disease is our defense system, fighting against our own cells, leading to chronic inflammatory conditions. So how do we make sure that our immune system is working well and is balanced? Not so well known fact: 70-80% of your entire immune system is located in your gut lining. When the immune system is not functioning correctly, the cause can often be attributed to the gut and our digestive function. Improper gut function is a common cause of immune system imbalance. These foods include lots of vegetables (leafy greens, broccoli, cauliflower, bell peppers, zucchini, Brussels sprouts, sweet potato and squashes) and some fruits (high in antioxidants) Aim for 3-4 servings of fruit and 4+ servings of vegetables daily. Water is the most important fluid that our body requires. In the colder months, a nice glass of water, a warm herbal or green tea or homemade soup or broth is a great way to get important fluids and stay warm. If possible, filter your water and avoid high sugar fruit juices and soda. Sugar and processed foods which contain sweeteners have been shown to depress the immune system for hours after they are ingested. This means staying away from candy, chocolates, cake and holiday sweets as they can, and will cause immune system depression. Also cut down on gluten and dairy products, which have been shown to cause leaky gut syndrome and dysfunction in the gut lining. Proteins are the building blocks of the body, including your immune and detoxification systems. Organic, clean and lean animal protein as well as plant-based protein (legumes, nuts, seeds) are important to have at each meal and can even be a great snack option. Sleep is our bodies way of repairing and restoring our body to optimal function. Our terrible sleep habits are often contributing to high emotional stress levels as well as improper function of our bodily defenses. Try to get 7-8 hours of high quality sleep and awake feeling rested and ready to go! 30-45 minutes of mild to moderate exercise has been shown to help boost immune system function. Avoid overexerting yourself as high stress exercise can decrease immune function.